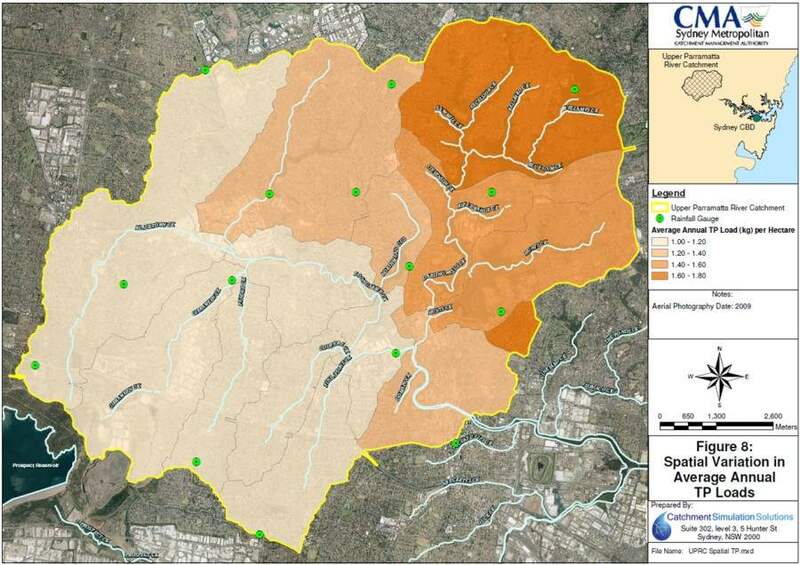 The projects involved development and parameterisation of Source Catchments models for both catchments incorporating over 1,000 subcatchments, 8 different land uses and 6 different constituent types. A separate program was also developed as part of the project to automate the inclusion of external runoff hydrographs from previously developed and calibrated XP-RAFTS models. Both models were subsequently calibrated to reproduce available water quality information. Comprehensive reports and maps were also prepared summarising the model development process and showing the locations/sources of greatest pollutant loads across the catchment. A separate utility was also developed to allow key model inputs to be exported to CSV format where they could be reviewed, edited and imported back into the Source Catchments software. Time series and average annual flows and pollutant loads/concentration were prepared and documented in the reports as part of the project. The time series data will be subsequently used as a key input into an Ecological Response Model that will be developed for the Sydney Harbour estuary. The Source Catchments and Ecological Response Models will be used to quantify how the various pollutants transported from the catchment impact on the healthy functioning of Sydney Harbour and to test a range of strategies for improving the overall water quality within the Harbour.